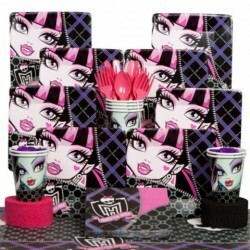 Monster High Party SuppliesThere are 13 products. Create a spooky yet sassy theme with our Monster High Balloon. 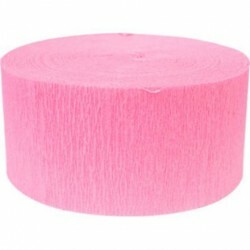 This foil balloon features Frankie Stein from the TV show with a pink and blue plaid pattern. Add more monster decorations and latex balloons to your setup for a fun and flirty theme! It's the biggest show on TV and you're decorating your next big get together in its style. 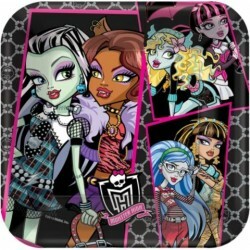 Put out these Monster High Luncheon Plates and you'll be celebrating in a spooky way! With some of your kids favorite characters on it, they'll love eating off of these plates at any time! 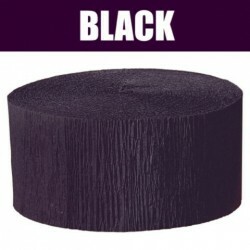 Your party will definitely need cake plates, but make sure they match your party theme! 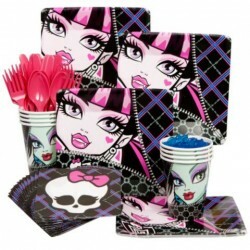 You can be sure our Monster High Square Cake Plates, sold in packages of 8, will do the trick. Each package features your daughter and her guests' favorite characters on the plates to pull the whole theme together. These beverage napkins will help serve all the girls and ghouls at the party! 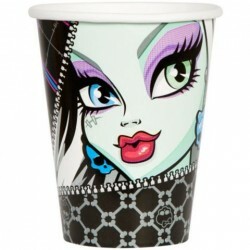 Our Monster High Beverage Napkins, sold in packages of 16, will compliment the whole collection of matching supplies we carry. 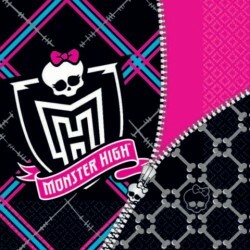 The napkins are decorated in an all over black, neon blue, and fuchsia plaid with the cutesy skull from the Monster High logo. 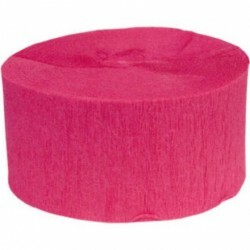 Even your table needs some help accessorizing for the party! 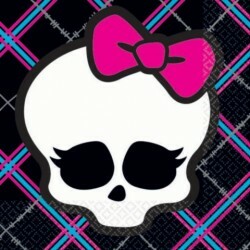 Our Monster High Table Cover will be perfect for your theme with the signature Monster High touches it has, like the logo, skull, and plaid pattern. This table cover is sure to compliment the rest of our Monster High supplies and get your party monsters ready for a good time!